Belgium’s 38-year-old King Leopold III had more power and government responsibility than any western European monarch. He served as commander-in-chief of the Belgian army and took charge of Belgian’s defense when Germany invaded on May 10, 1940. The Belgians had insisted on remaining neutral, to the dismay of the British and French, who wanted to enter Belgium before the fighting broke out. 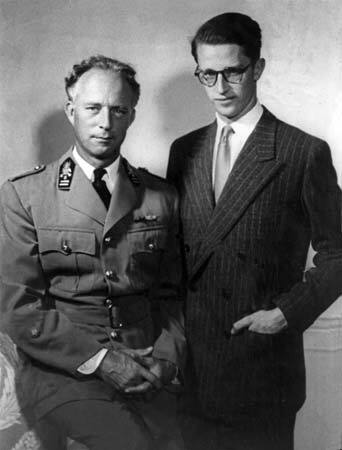 King Leopold III suspected they wanted to keep the war off their soil. A French general admitted as much. The Belgians mounted a determined, well-directed defense but, with their army near disintegration, informed the British and French they must surrender. Unlike the monarchs of Norway and The Netherlands, Leopold refused to flee his country. Abandoning his army would be tantamount to desertion. He asked to stay with his army in a prisoner-of-war camp, but the Germans refused. For a time, he was confined to his palace. Later, he and his family were moved to Germany, then Austria. He was unable to share in his country’s suffering or bolster his people through radio broadcast. The British and the French unleashed vicious verbal attacks on the king in the press, making him and the Belgians the scapegoats for France’s defeat and all their troubles instead of acknowledging their own ineptitude and stupidity. They bullied the Belgian ministers who escaped to support their attack on Leopold, blackmailing them with the safety of Belgian refugees. They agreed, making false accusations, and calling Leopold a traitor. Instead of protecting their countrymen, the Belgian refugees were jeered, beaten, and ejected from hotels. Belgian pilots were thrown in jail while several thousand Belgian men in military training in France were imprisoned in their barracks. 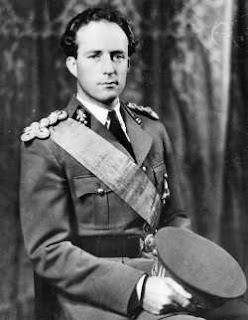 Leopold’s cousin King George VI of Great Britain expressed sympathy and had no criticism of Leopold’s effort as commander-in-chief, but felt he should have left his country and established his government elsewhere. He apparently forgot he had vowed he wouldn’t leave England in Germany invaded. After the war, the Socialist government didn’t want him back. He lived in Swiss exile and abdicated in 1951 in favor of his son Baudouin. Wow, thank you Terri! What a reminder of how unfair and false critical people and media can be. I wouldn't have wanted to be in his shoes for anything! He had such high aspirations, which makes it so much more heartbreaking. In my study of WWII, I never heard about what happened to the rulers of the countries Hitler ran over. Very interesting!